MIAMI-DADE COUNTY, Fla. - Multiple high school and college students in Miami-Dade County walked out of class Wednesday in support of the immigrant rights activist group COSECHA's #sanctuarycampus movement. The students and other members of the community walked to Homestead City Hall to demand sanctuary campuses and a sanctuary city. Activists said they want law enforcement authorities in South Florida to declare that they won't target someone based on their immigration status and won't work with Homeland Security on deportation efforts. 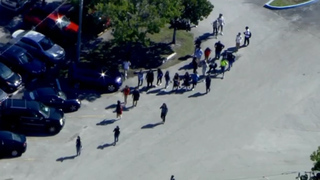 Sky 10 was above Homestead Senior High School at 11 a.m. as a handful of students walked off campus. Some of the students held signs that read, "Love trumps hate" and "Here to stay!" "We are not trying to be a city of violence. We're trying to be peaceful, because if we want respect and if we want dignity, we've got to give people respect," one student said. "We've got to give them the dignity that they deserve, so we deserve that." 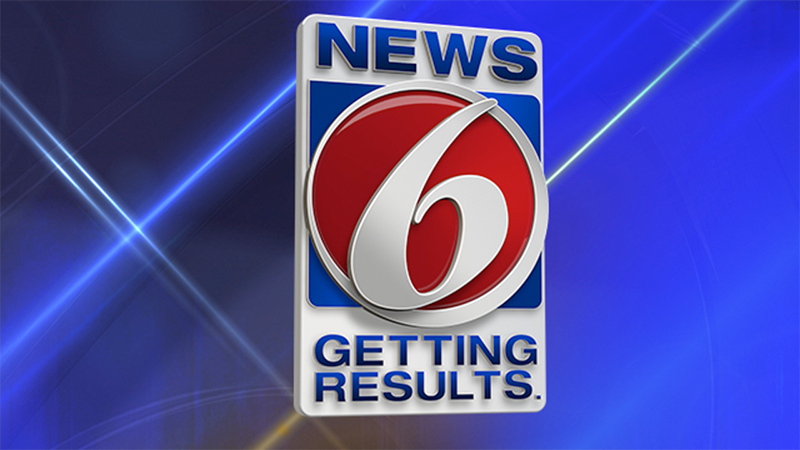 School officials told Local 10 News reporter Ian Margol that the walkout was not a school sanctioned event and students were not permitted to leave without a parent signing them out. Staff locked gates at the school in an attempt to keep the students inside. Activists said other students participating in the walkout attend South Dade Senior High School, Keys Gate Charter School, Miami Dade College, Mavericks Academy, Miami Community Charter School and MAST Academy. A Facebook post also encouraged Florida International University students to walk out at 3 p.m. Event organizers said the movement promotes campus safety and "calls for universities and high school to develop a protocol for their campuses that will allow them to serve as sanctuaries against deportation, discrimination, violence and racism." "COSECHA is a movement for permanent protection, dignity and respect for undocumented people, so our toolkit messaging focuses on the specific threat Trump's administration poses to undocumented students and their families,” the activist group said in a news release. “However, we stand in solidarity with other movements, and recognize that many of us hold intersectional identities. Now more than ever it is important for undocumented students to stand together with the Muslim community, LBGT community, African American community and the Latino community. We are fighting so that all immigrants in the United States have permanent protection, dignity, and respect. Join us." Similar walkouts are expected across the country.